Huge thanks to Hostile for patiently teaching me how to do this. Ok, next you'll need to find the original unmodded versions of the INI files... hopefully you still have them somewhere. NOTE: If you are not changing a file, you don't need to put it in the .BIG... so if you are only editing Aragorn and his powers you don't need to copy over the evilfaction, civilian, or neutral folders ...ect. Now, for the files to work correctly you will need to keep all the original data in the file, then just add your new data to the bottom of the file unless it is supposed to overwrite an existing code. -commandsets, buttons, str files, experience, weapons, and armor all must be added to the original ini files and then placed properly. -First of all it can NOT be named Gamedata.ini... it must be named something else like "siegemoddata.ini" or "datacodes.ini" ect. -Secondly, that file must be placed in the "data\ini\object" folder for it to overwrite the original gamedata.ini file. -Also, you only need the new codes you plan to edit...so if you are editing Aragorn you don't need Gandalf's codes in there. -Now, for some unknown reason it won't allow you to change the existing codes like "gondor_soldier_buildcost" you'll have to create a new code in the your gamedata file and in the unit's code that looks like this "gondor_soldier_buildcost2". Or you can go into the Unit's code and fine "BuildCost = Gondor_Soldier_Buildcost" and just change that to: "BuildCost = 100", that works too, but I personally prefer to keep all the changes in the new gamedata file. Open the FinalBig program and create a new .BIG file and name it "YourModNameHere.BIG" then move the window so that you can see your mod file that contains the "data\ini\...." files. Drag and Drop into the final big window the "data" file (all the subcatagories will be dragged in as well) and if you have any other files "Art", "lang", a custom Asset.dat or anything else, this is where you drag them into the final big window. Also, remember that the Capital letters are important...as you can see, I capitalized the "S", "O", "E," and "M" letters in the .BIG file so I had to capitalize them here. The spaces infront of the " -mod" and between the " -mod" and "YourMod.big" are very important too. This is also where you can load a different Icon if you have one you want in place of the default one. NOTE: The folder "ApplicationData" may be hidden. If it is then right click on the *YourUserName* file and go into the properties menu and de-select the "Hidden" box. Place your shortcut on the desktop or somewhere that you can easily get to. That should do it. I recommend you now read the tutorials on the -mod command for a better understanding of how this works. These are never quite detailed enough. This is confusing, "Once all your files are in the .BIG file, save and close out of it. 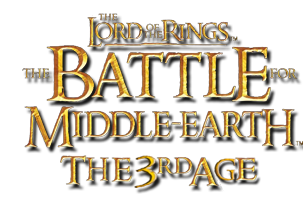 Now go find your lotrbfme.exe application and create a shortcut...then move the shortcut into the *YourMod* file and place it next to the .BIG file. Now you will need to right click on it and open the properties window. Then find the "Target" and add this line of code:" Now where exactly does all this go? So here you are using a BIG file, so why are the INI packages needed if they are .rar? do you change it somewhere along the way?? i sorted it out now, i done the shortcut wrong. everything else works apart from the gamedataa. if i put it in the object folder, it says that it clashes with another file. if i rename it, it comes up with another error. good tutorial. when i tried to do the gamedata, i had problems. i done everytthing you said, i renamed it, and put it in data\ini\object but that still didn't work. any help?